Ridding the world of landmines has become the new mantra for human security and post-conflict development under the framework of international law. In 1997, 124 countries ratified the Convention on the Prohibition of the Use, Stockpiling, Production, and Transfer of Anti-Personnel Mines and on their Destruction. The Convention, also known as the Mine Ban Treaty, is a legally binding international agreement that bans the use of landmines, makes requirements for mine clearance, and provides victim assistance. The treaty is one of the world’s most widely ratified contracts that is in accordance with international human rights law and international humanitarian law. 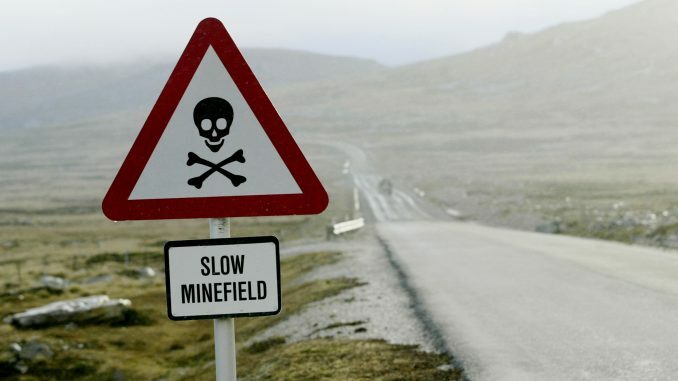 It is the only comprehensive framework to move towards a mine-free world. The ICBL, an international coalition of NGOs, helped navigate the Ottawa Convention through global collaboration in the humanitarian mine action effort. As of Nov. 2014, there were 162 countries that have ratified the treaty. Nation-states such as the US, China, Russia, India, Pakistan, Myanmar, and South Korea are unwilling to sign the treaty despite its significance to move towards a mine-free world. In 1996, India voted in favor of a resolution tabled by the UN General Assembly pressing states to create a comprehensive international treaty banning anti-personnel landmines (APLs). However, India did not sign the agreement when it was implemented the following year. India is known to be a major manufacturer of landmines and has used the deadly weapons both along its shared border with Pakistan and the Line of Control (LoC) in Indian-administered Kashmir. In the 2000s, mine warfare was a key characteristic of the geopolitical strife when the Indian military stockpiled around two million landmines along its shared border with Pakistan. According to the 2016 Landmine Monitor report, India was the third biggest stockpiler of APLs in 2015 after Russia and Pakistan. The Landmine Monitor is a group that provides research for the International Campaign to Ban Landmines and Cluster Munition Coalition (ICBL-CMC). In October 2016, the Indian military was considering stockpiling new landmines along the shared border with Pakistan amid the recent clashes and rising tension. In the end, the military decided against it. International civil society organizations expressed their concern on India’s scrutiny to deploy landmines. “It is extremely disappointing that the world’s largest democracy is reportedly contemplating the use of landmines again,” said Megan Burke, Director of the International Campaign to Ban Landmines (ICBL). “New laying of antipersonnel mines by government forces anywhere in the world is almost unheard of, as the use of the weapons is clearly at odds with the most basic principles of International Humanitarian Law. Why would India want to lay minefields that will threaten the security of its own people?” he added. Many landmines were deployed by the Indian and Pakistani military units during Operation Parakram following the terrorist attack on the Indian Parliament in December 2001. The mine-laying covered a large swath of land along the international border. Years have passed since the end of the war, but the APLs are still lurking around the LoC and the India-Pakistan border. The mines are remnants from a previous phase of conflict, but they are causing both suffering and inconvenience to communities living along the LoC. The extent of the landmine scourge has both direct and secondary consequences on people. Landmines are seen as the “perfect soldier”since they are inexpensive explosives that discreetly wait for their prey to step on them and get maimed or killed. Landmines do not recognize ceasefires and carry on killing people even after a war ends. They are indiscriminate and victim-operated, which makes them no different from other weapons. Once a landmine is deployed, it does not differentiate between a solider and a civilian. Moreover, mines remain active long after the conflict is over and turn into a deadly legacy of killing and injuring people. As a result, people living near the international border and LoC are in a state of vulnerability. There are reports almost every month of both soldiers and civilians sustaining injuries or even dying in landmine-related accidents. Those who survive become a burden on their families since they are unable to work and require extensive medical help. Moreover, the threat of mine presence can hinder development and economic prospects. The possibility of even one landmine in fields or roads dissuades communities from using farmland or moving from one place. This perpetuates the cycle of poverty, terrorizes communities, creates a culture of fear, and hinders a return to normalcy after a conflict ends. These persisting struggles against mines, cluster munitions, and other explosive remnants of war (ERW) continue regardless of international protocol. Landmines undermine international security and development. Despite the devastating risk they pose to people living in landmine contaminated areas, the deadly device has taken a backseat in the security and development paradigm. Moreover, funding for mine action has plunged, which has resulted in a decrease in overall mine clearance. It is high time for India to reevaluate its policy towards landmines and consider signing the Ottawa Convention. Landmines are an obsolete weapon that should no longer be used by the military. The long term consequences of using landmines have overridden its military utility by bringing in misery to susceptible communities.